Title: People's Edition. 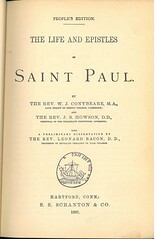 The Life and Epistles of St. Paul. By The Rev. W. J. Conybeare, M.A. Late Fellow of Trinity College, Cambridge; and The Rev. J. S. Howson, D.D., Principal of the Collegiate Instution, Liverpool. 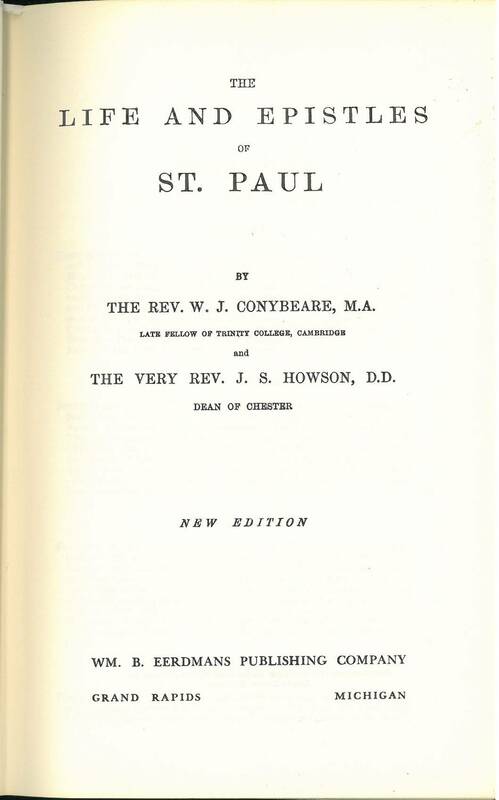 With a preliminary Dissertation by The Rev. Leonard Bacon, D.D., Professor of Revealed Theology in Yale College. 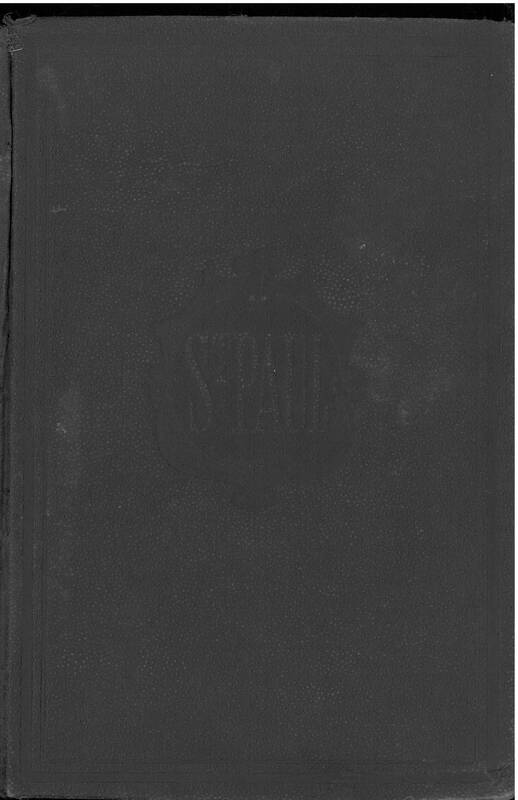 Publisher: S. S. Scranton & Co.: Hartford, Conn. 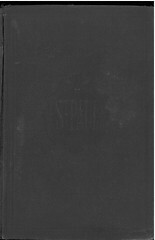 Comments: This book is a biography of Paul with an original translation of the Epistles and certain portions of Acts as they relate to Paul. 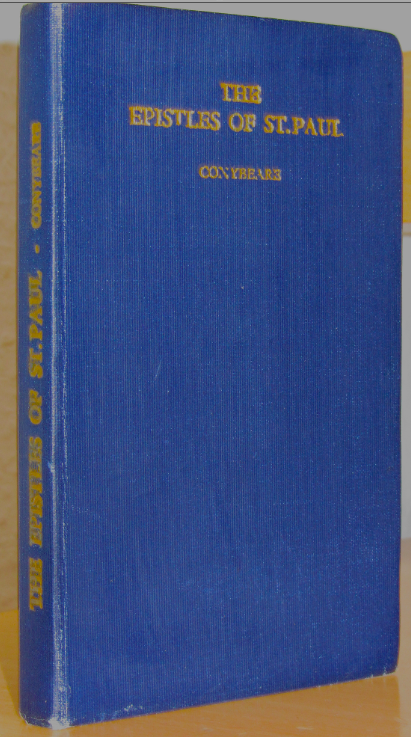 Comments: This has been re-printed several times including an edition by William B. Eerdmans Publishing Company: Grand Rapids in 1966 (Title page). John Saul Howson, an Englishman, was born on May 5th 1816 in the county of Yorkshire. He later went to Trinity College, Cambridge, where he graduated B.A. and M.A. in the late 1830s. In 1867 he was appointed dean of Chester Cathedral. 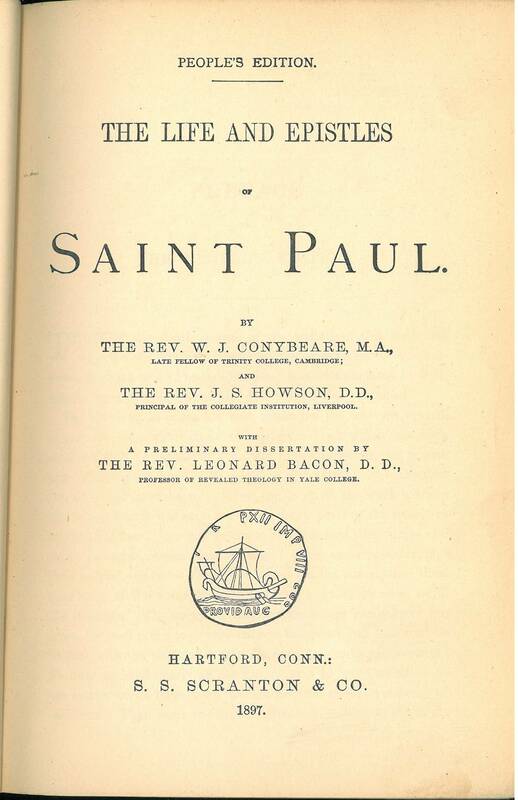 Howson's chief literary production was »The Life and Epistles of St Paul« (1852) in which he collaborated with his friend W. J. Conybeare. He died in 1885. The Very Rev. 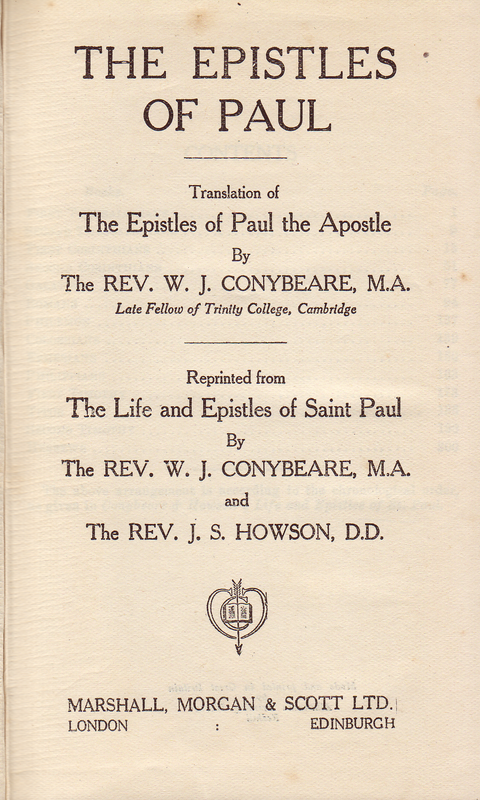 William James Conybeare was an eminent Anglican priest; he was born on Dec. 19th, 1871 and educated at Eton and Trinity College, Cambridge, England. He died on May 13th, 1955.